Fixed-point digital filters are simple yet ubiquitous components of a wide variety of digital processing and control systems. Common errors in fixed-point filters include arithmetic round-off (truncation) errors, overflows and the presence of limit cycles. These errors can potentially compromise the correctness of the system as a whole. Traditionally, digital filters have been verified using a combination of design techniques from control theory and extensive testing. In this paper, we examine the use of formal verification techniques as part of the design flow for fixed-point digital filters. We study two classes of verification techniques involving bit-precise analysis and real-valued error approximations, respectively. We empirically evaluate several variants of these two fundamental approaches for verifying fixed-point implementations of digital filters. We design our comparison to reveal the best possible approach towards verifying real-world designs of infinite impulse response (IIR) digital filters. 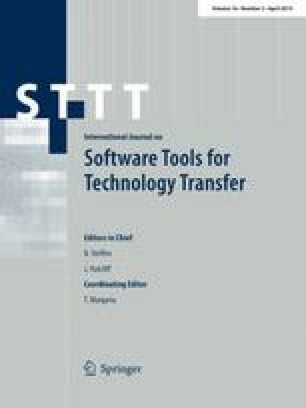 Our study compares the strengths and weaknesses of different verification techniques for digital filters and suggests efficient approaches using modern satisfiability-modulo-theories solvers (SMT) and hardware model checkers. This manuscript extends our previous work evaluating bounded verification, where a limited number of iterations of the system are explored, with unbounded verification, where an unlimited number of iterations of the system are considered. Doing so allows us to evaluate techniques that can prove the correctness of fixed-point digital filter implementations. This material is based upon work supported by the National Science Foundation (NSF) under Grant No. 0953941. Any opinions, findings, and conclusions or recommendations expressed in this material are those of the author(s) and do not necessarily reflect the views of NSF.